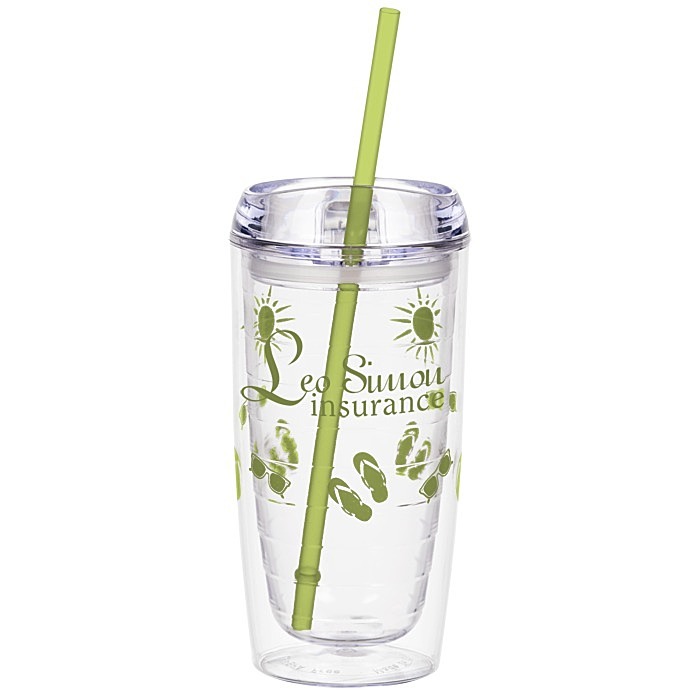 Summer goes by fast, so we offer promotional tumblers with 24hr turnaround! 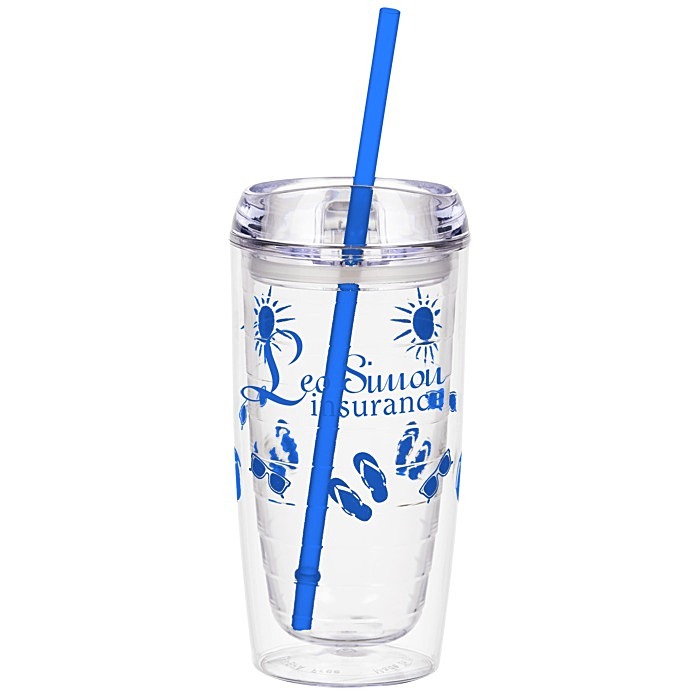 This acrylic tumbler will be your go-to for drinks on the beach. 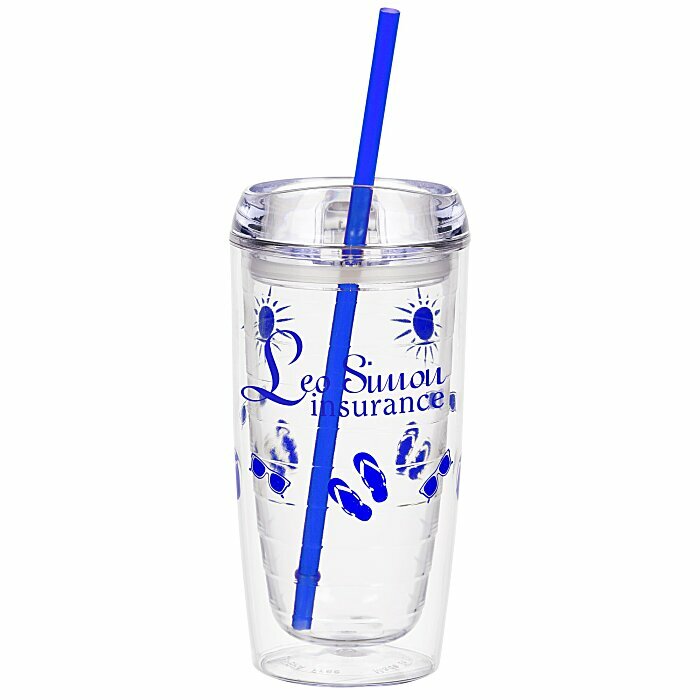 Double-wall acrylic body ensures the tumbler is always comfortable to hold. Thanks to this lid, the tumbler works with both hot and cold liquids. Includes a push-on lid with thumb-slide cap, preventing spills. Comes with a straw with a stopper for cold beverages. Made of BPA-free plastic #7, which can be recycled in only a few limited areas; please check locally for more information. Your price includes a one-color wrap imprint in the same color as the stock imprint.